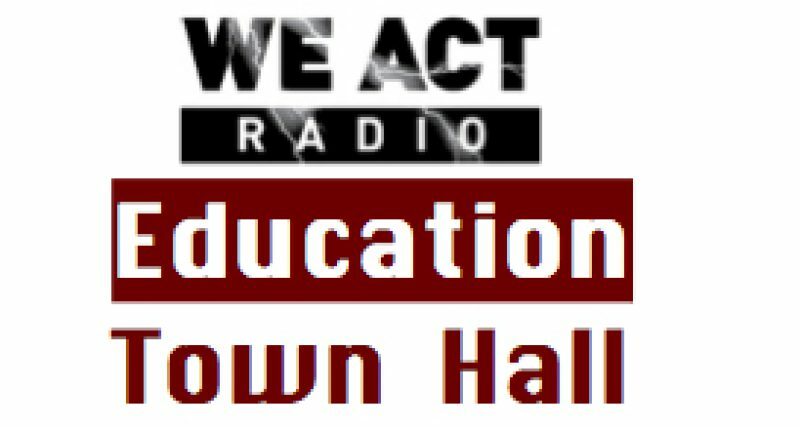 Rushern Baker III, County Executive of Prince George’s County Maryland, spoke to The Education Town Hall on We Act Radio, April 4, 2013. Baker is seeking executive control of the county schools, he told host Thomas Byrd, because the biggest challenges to “moving the country forward are public safety and education,” and movement on education has not been sufficient. “We tried to use bully pulpit to get improvements,” Baker said. “Unfortunately, there is little I can do other than request changes.” Legislation now moving through the Maryland state legislature — which was approved by county legislators this week — would give Baker some of the control he seeks. In response to Byrd’s query, Baker said the change is being rushed due to the active superintendent search: In too many cases, including PG County’s, Baker explained, superintendents turn over due, in part, to lack of consistent leadership as school boards change. One of the major positive results, he argued, from other executive takeovers — in New York and some other cities — has been the longevity of the superintendent. “If we’re going to make a change, we need to do it before” a selection is made. Listen to the full interview, April 4, 2013, and look for Baker to return for updates and further discussion. Previous Post: Vouchers: Empowerment or Diversion?